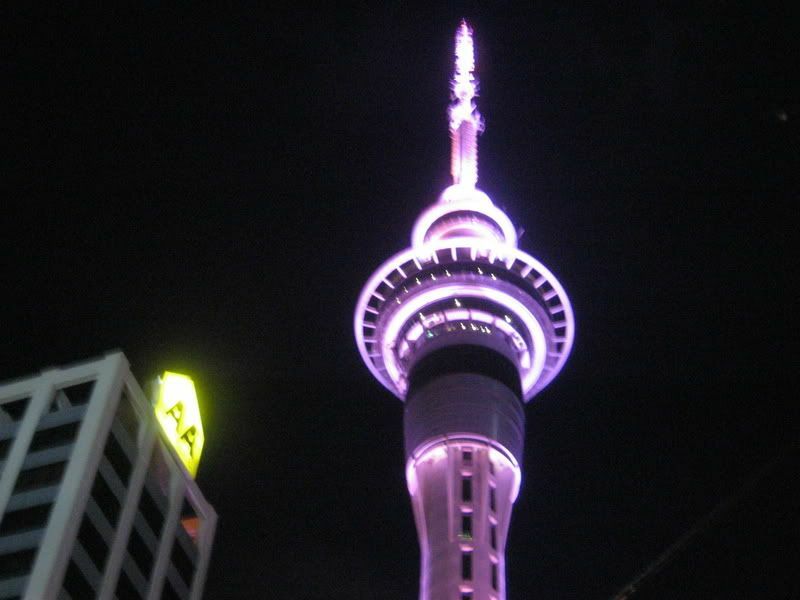 *J points* "The restaurant is right on top of the Sky Tower... There! See?" You will have to book a fair bit ahead of time as this place is incredibly popular, especially on weekends. Anyway, dining at the restaurant buys you a free trip up to the Observation Deck area of the tower (which saves you about NZ$25) where you can enjoy a 360° view of the surrounding Auckland area. The view from the restaurant and a peek at the restaurant interior"Waaaaaaah! Look at the pretty lights!" says "jakun" J. It was ok, I guess - I thought that it tasted a bit "fishy" but at least the texture was pretty succulent. 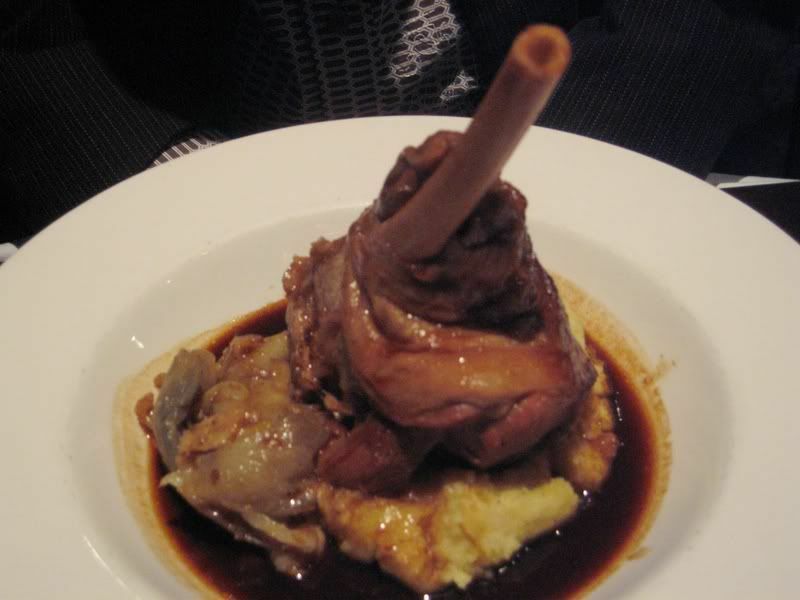 The Lamb was definately the better of the two dishes. 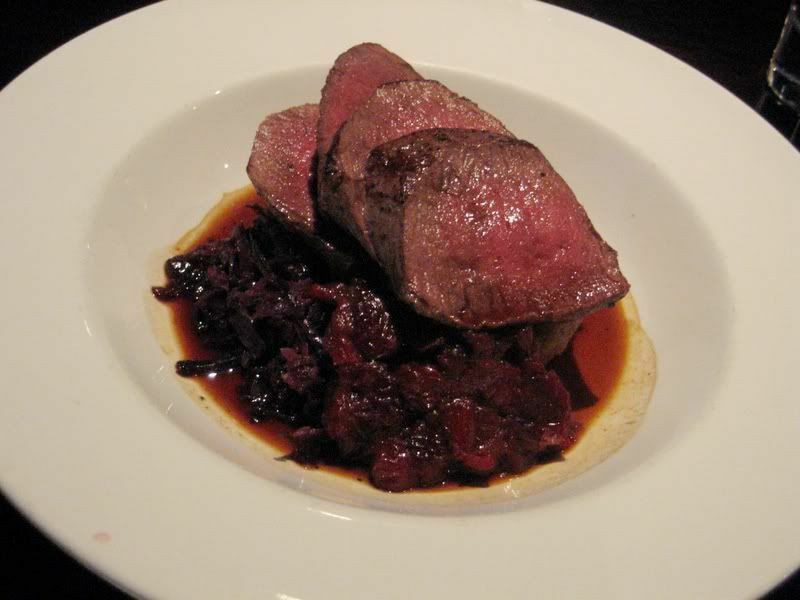 The Venison was also "ok"... *rolls eyes*... it's sad but I really can't find a better word than "ok". The servings were fairly large so I really didn't have any space for dessert.... The selection of wine there was quite decent though, so we had fun slowly savouring our bottle of Pinot Noir after dinner. Overall, (if you couldn't tell already) I was unimpressed with the food.... It's not that it was bad - it was just "OK". Still, I suppose the thing that makes Orbit special is the incredible view! 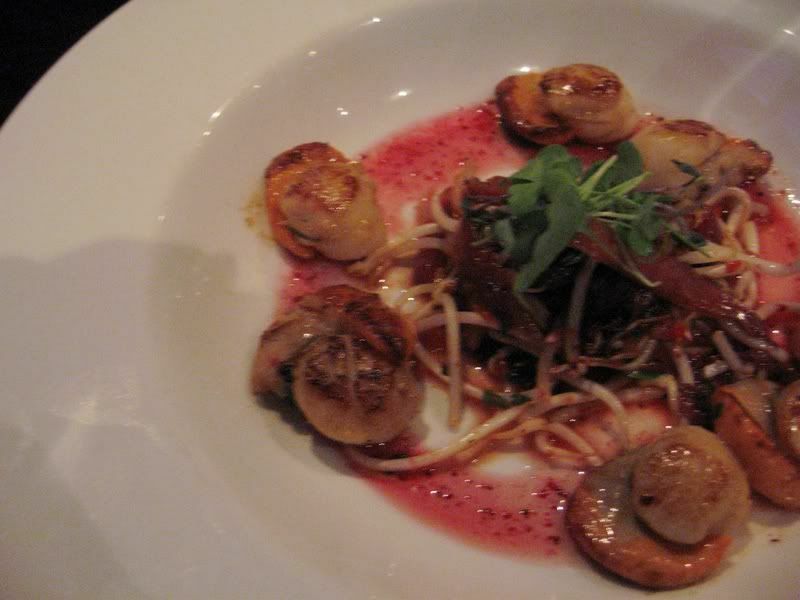 A minimum charge of NZ$25 per person applies for lunch and dinner. A 15% surcharge applies on public holidays except Christmas day. 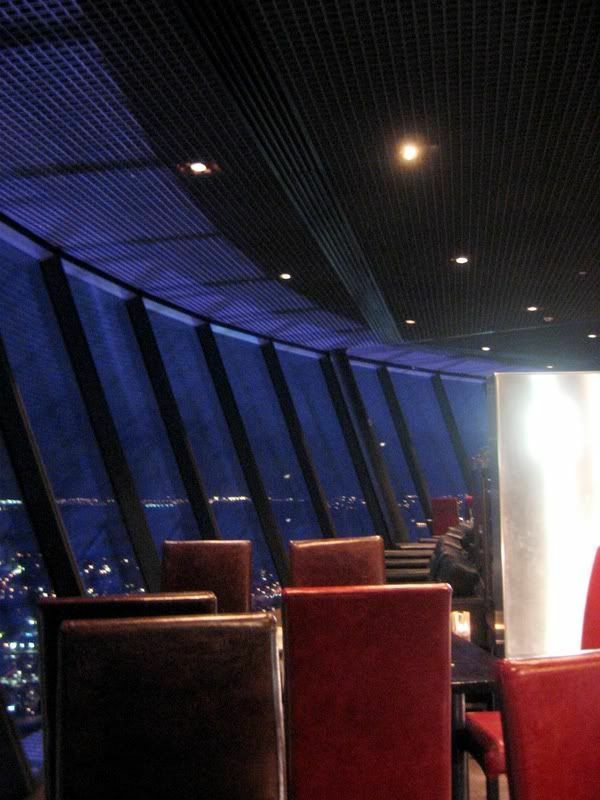 Guests can also enjoy complimentary access to Sky Tower's main observation level before or after dining. hmmm.. juz like da one in Federal Hotel, The Revolving Bintang Restaurant huh? nice scenery too!!! wow... very nice nite scene... yea.. must be damn romantic ! i wan i wan !!! Yeah - the concept is similar but the movement of the restaurant was much smoother in NZ somehow. 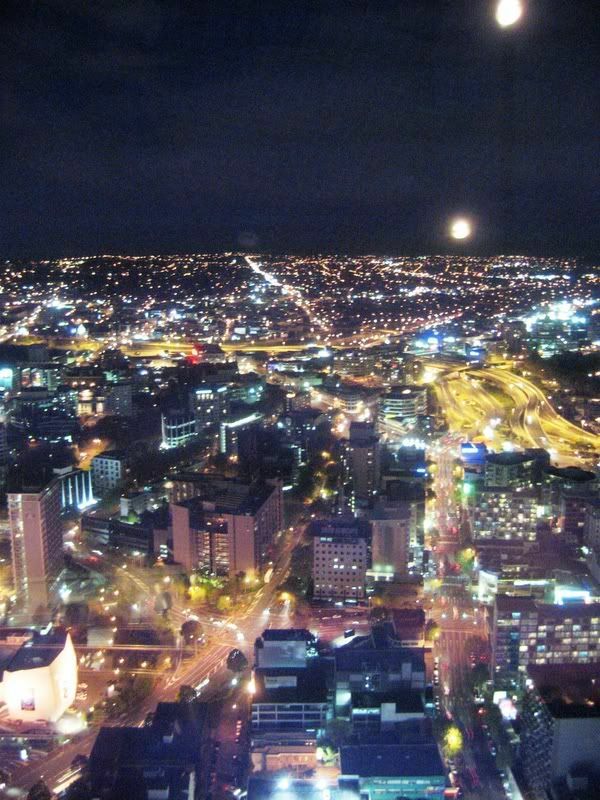 J, the orbit @ sky city is over-rated but nice to dine with the 360 view. Next time do try Dine by Peter Gordon.